2 dining / kitchen chairs in Aqua / Blue. Very sturdy and decent, stylistically influenced by mid-century type of furniture. Two New Dinning Chair Still In Box, Pick Up Only. Condition is good. Top Quality! Free Delivery! Best Customer Service! Stretchy dining chair covers: elastic slipcover protects chair against dents, scratches and stains (2 Set). High-quality dining chair covers: chair slipcovers made of 93% Polyester; 7% elastane, available in different colours. They also stack for storage too. link located towards the bottom of this page, and we will do our best to help as soon as possible. This is a nice little antique balloon back chair. Made of mixed woods the chair has a balloon back and a shaped seat set on turned legs. The chair has an old distressed painted finish which is smooth and tactile with a low sheen finish. Country Kitchen Dining Chair. Condition is Used. Collection in person only. Any questions please ask. Channel Islands, Isle of Man, Isle of Wight, Scottish Islands, Scottish Highlands, Scilly Isles, Northern Ireland: £16.99. Charles Jacobs Swivel Chair - Stunning Hand Crafted Quilted and Buttoned Design with Comfortable Padding. A set of five ladder back kitchen dining chairs. Rustic distressed antique pine finish. Great as they are or you could always paint them for a whole new look! Solid old pair of chairs with normal signs of age and use related wear, including scratches and scrapes. The actual colour may vary due to lighting conditions. 1 carver and 4 chairs with a central decorative back support. 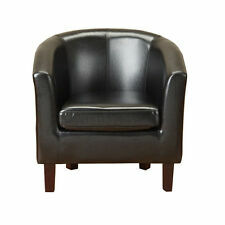 Straight leg chairs with beige faux leather seat pads that are easily removable for ease of re-covering. Alternatively, they would make a great up-cycle project if you wanted to paint them and give the chairs a whole new look. Photos show 2 but there are four of these. I also have another listing with four chairs but in total I have 10 chairs if you want the ten please contact me. i have these on other selling sites. So will take off if sold elsewhere. 4 Kitchen / Dining Room Chairs Stackable. Condition is Used. Collection and cash only.